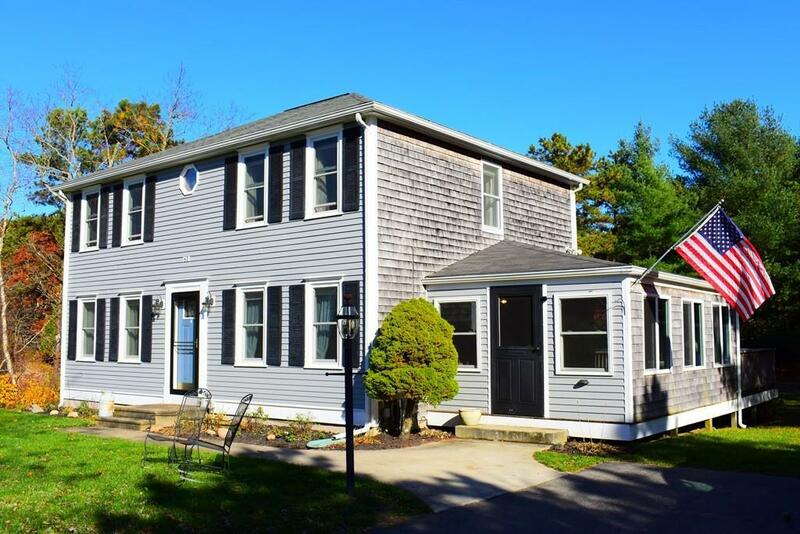 This well loved home in The Ponds of Plymouth is situated nicely back from the street to afford you a sizable front yard. But, at the same time, you'll enjoy the privacy of a spacious enclosed porch with back deck overlooking the large backyard beyond. To keep this all green and happy, the lawn includes an irrigation system which draws water from it's own, separate well. The Kitchen opens directly to the Dining Room with hardwood floors. The sunny Living Room also includes hardwood floors and a pellet stove to keep you warm and cozy as snow swirls. Upstairs, the Master bedroom features a walk-in closet and separate vanity w access to the full bath. The basement has been beautifully finished and has in-law potential. Recent improvements include new clapboard siding. 3 year old 3 zone Navien Boiler with on demand hot water. Additionally engineering is in process for a new septic system which will be installed prior to closing. Invisible dog fence included if needed.